1. 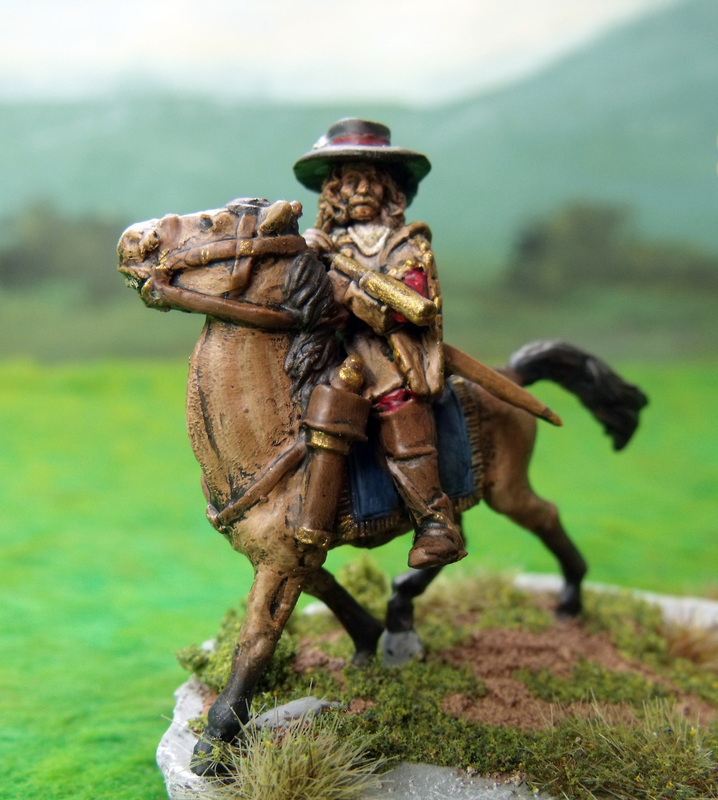 The size of action you the gamer want to represent, and by this I mean do you like the idea of playing skirmish actions with involve very small numbers of men, or do yo really wish to get to grips with more of the larger size battles which involved thousands of men on each side. Then again there are numerous engagements that fall somewhere between the two extremes and this is probably where the vast majority of games and rules are pitched. 2. The space you have to play the games, as a typical dining room table of 5' x 3' would only accommodate a skirmish game with 28mm - 54mm scale figures, but with 6mm - 10mm figures you could have a pretty large battle. The bigger the table area you have to play games the more likely you would want to be able to play larger battles whether it be large skirmish style actions with lots of buildings etc. or a larger battle with many regiments of foot and cavalry depicted. 3. The physical size of the units that you wish to represent. 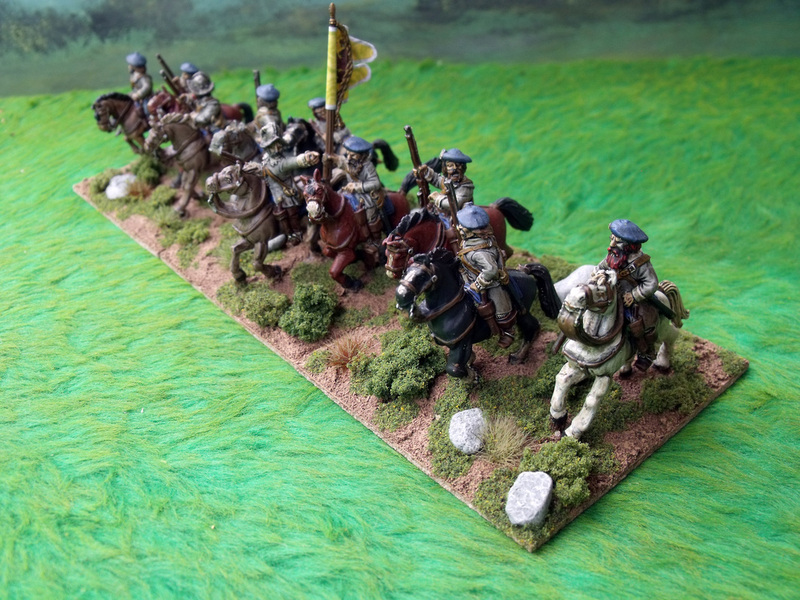 As an example I model my own units as complete regiments of foot usually around 20 figures strong which I use to represent around 500 – 600 actual men. This gives me a figure scale of 1 figure represents 25 - 30 actual men, and to me at least looks very pleasing displayed on the tabletop in 2 ranks of figures. 4. Other considerations such as time and money also play a major part in forming a idea of whether you will be gaming smaller or larger actions. 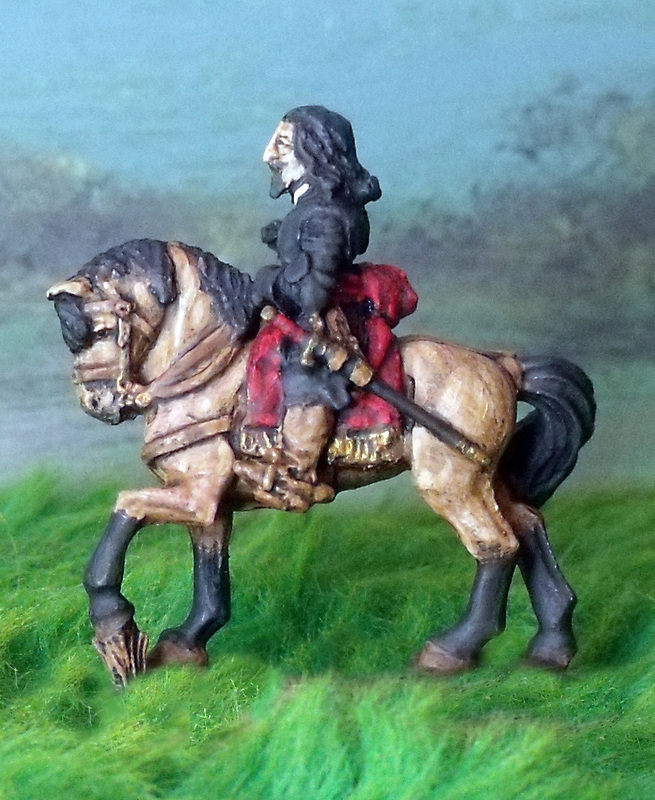 As with the best will in the world if you really want to use 28mm figures but have limited time to paint or play, or worse still limited finances to buy the models, scenery, buildings etc. then you won't be playing many large battles any time soon. 5. The rules that you wish to use, although from experience I know that this consideration is mutable as a system you like to use can be altered to accommodate different figure scales or size of action. 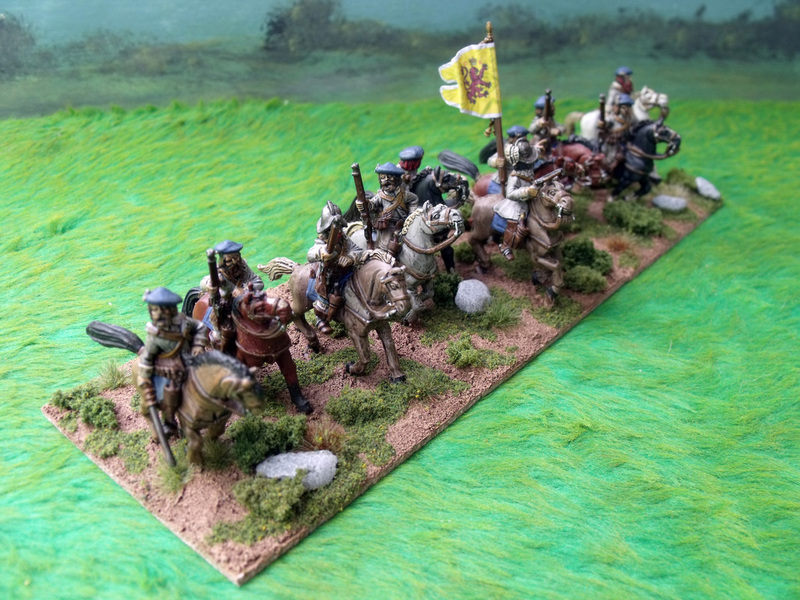 An example of this is being that I quite like the Pike & Shotte set of rules by Warlord Games and although probably pitched at the moderate size battles I have adapted these for use with anything from a one to one skirmish to a major battle like Naseby, Edgehill or Marston Moor. So, with all these considerations you can hopefully form an idea of where you want to start with your ECW collection. 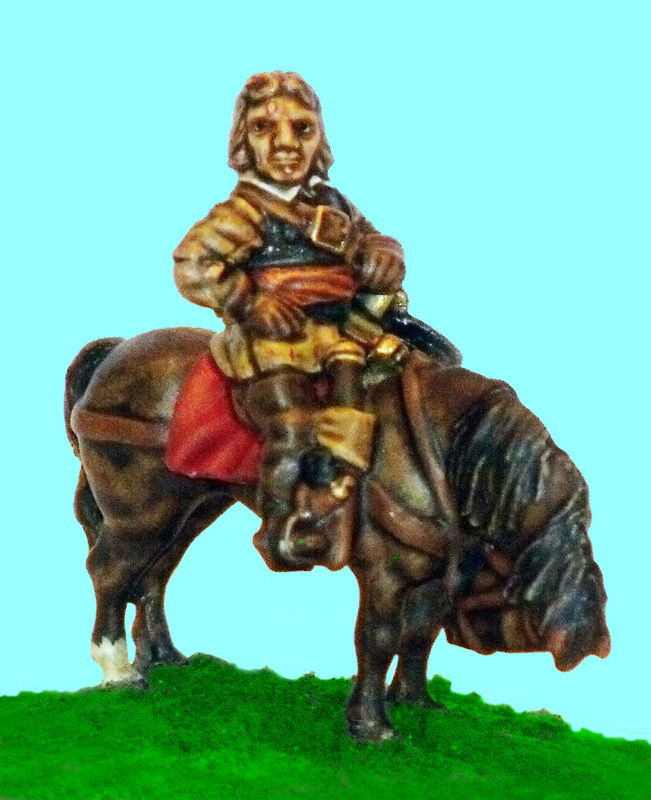 Whether it be with some beautiful small scale figures for larger battles on the dining room table or 28mm battles on a large purpose built table covering many square feet, or just somewhere between, you can get a sense of what size of engagement you want to represent before you commit to buying any figures, rules, scenery or buildings.